Sports are one hobby that most people like, both woman and man. Gym and fitness are one aspect of sports activity. It is good for your body and health. 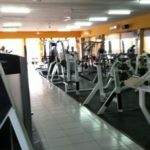 Well, here are listed of gym and fitness center in Northern Bali. Tribert Gym is one of gym center that famous in Singaraja. 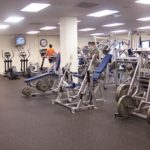 Full of ac, clean, comfortable, quiet, and complete facilities for the gym is provided for you. Located in the middle of the city make it be strategic and really has good accessibility. The friendliness of all staff and excellent service make Tribert Gym is different from other gym centers. Matrix Gym is a gym center in Singaraja that provides you with a complete fitness and gym tools. Clean, comfortable, and strategic location are a good thing to accompany you while you are fitness. Location : Jl. Wr. Supratman No. 1 Buleleng, Bali, Indonesia. Mami gym is a gym and fitness center in North Bali. Located on the city of Buleleng make Mamy Gym is easy to find. The tools that use in a gym are complete here. Gajah Sakti Fitness also fitness center in Buleleng. To be healthy fitness is a good way for you. And Gajah Sakti Fitness also a good place to spend your fitness time. Comfortable, clean, and complete tools are available for you. Hary Gym also a gym center in the city of Buleleng. Same with others gym center, Hary Gym also provides you with a good place for fitness. Ivan Gym Fitness Center is a gym & fitness center that has a motto that “Healthy is not a goal, but healthy is a requirement”. Complete with all tools for gym and fitness, a good place, friendly staff is discovering your gym time. Victory Gym provides you the American atmosphere for the place. Unit flags cover the walls, along with signs, posters, and creeds anyone in the military would be familiar with. 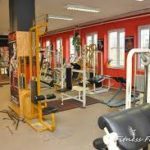 There’s a large assortment of free weights and machines, but more importantly, two or three squat cages and plenty of barbells. If you want cardio, you’re in luck, because there are tractor tires outside, punching bags on the inside, and boxes all over the place (there are also some treadmills if that’s your thing). There’s also a lounge area that looks like it was transported directly from FOB Salerno in Afghanistan. In there they sell everything from coffee to protein shakes and supplements. 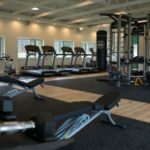 This gym is great, and so are the services they offer vets and first responders.